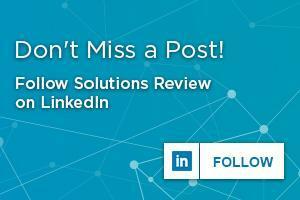 Like many of the categories covered here at Solutions Review, content management is in a constant state of change. 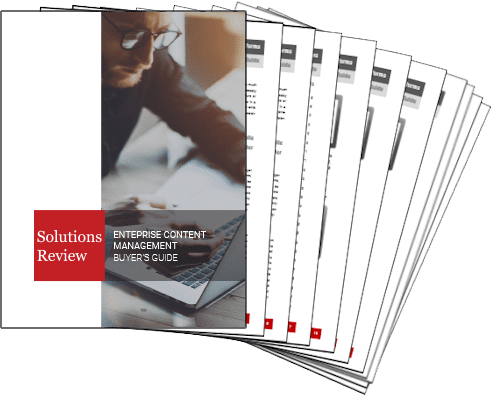 Technically declared dead and resurrected as content services by Gartner in 2017, the change to content services marked a shift from a focus on technology to a focus on strategy. While the goal of content management was to accomplish a range of goals through the use of one centralized platform, content services aims to improve efficiency by relying on multiple strategies and tools. Vendors such as IBM, Laserfiche, and Microsoft have all made the shift to content services. However, while content services has grown in popularity, content management platforms are still available in the space from providers, such as Questys and Ascend Software. In an attempt to assist you with what can become an overwhelming task of choosing the right product, these are the top-20 best content management platforms for 2018. Alfresco provides open source technology that enables businesses to collaborate more effectively across cloud, hybrid and on-premise environments. The provider’s content services platform can also be customized and integrated with existing applications and processes. Alfresco’s platform is built on an open source core with support for a range of deployment options, including on-prem, cloud, and hybrid-cloud configurations. Users can also expand their solution to include Alfresco Process Services. Ascend Software’s enterprise content management (ECM) product gives businesses the ability to store unlimited document types and provides a flexible solution that will scale. The provider is also known for its non-invasive integration process and quick installation. The platform requires little setup or maintenance and provides web browsing viewing to allow a user easy access to their information. This ease of implementation is what puts Ascend Software above other platforms. DocSTAR users are able to get control over documents, improve retention and increase efficiency through the provider’s platform. The vendor also serves organizations of any size, making their appeal widespread. DocSTAR offers enterprise content management solutions, document management system software, and accounts payable automation solutions. The provider’s ECM platform, Eclipse, can be installed on the user’s hardware or on DocSTAR’s hosted service. Docuware’s content services platform (CSP) offerings include DocuWare for document capture and management, DocuWare Workflow for business processing, and DocuWare Intelligent Indexing for metadata management and content indexing. The Germany-based company also provides both on-prem and cloud ECM solutions. Docuware’s platform distinguishes itself from other solutions by offering disaster recovery capabilities as an optional add-on for users. Everteam offers microservice architecture that includes a modernized application layer for building apps. The provider’s ECM platform helps organizations maximize the value of their enterprise information, for improved decision making and business impact. With Everteam’s platform, users can integrate digital and paper content sources as part of a cohesive content strategy, providing the tools required to identify, search and retrieve information, regardless of source, format or location. Hyland is the developer of an ECM and process management software suite called OnBase. 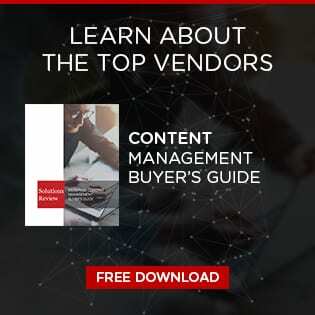 The vendor’s OnBase software is a good choice for enterprise users looking to combine traditional content management capabilities with end-to-end content processing apps. Hyland also offers easy API-based integrations and high-quality third-party integrations. OnBase is built on a single end-to-end architecture, available to users on-prem or in the cloud. IBM’s content services suite, IBM Content Manager, can automatically capture and store high volumes of outbound statements and correspondence, and offer powerful search and fast retrieval options with a web client solution for multiple browsers, mobile devices, and desktop environments. Additionally, because the vendor has such a wide global reach, its content services platform is ideal for organizations with strong compliance requirements. Based in Japan, Konica Minolta offers managed content services that connect enterprise information and establish a central collaboration platform. The latest edition of the provider’s automated document workflow application, Dispatcher Phoenix Enterprise Content Management, provides advanced batch scanning, batch indexing, and document verification features. Konica Minolta also has offices in 49 countries around the world. Laserfiche offers a full set of content services platform capabilities in on-prem and SaaS offerings. The provider offers users reporting and compliance capabilities, which enable them to optimize business operations. Laserfiche’s extensive set of content services capabilities would be a good fit for clients looking to deploy a traditional content management tool with innovative business process solutions for digitization. Based out of Finland, M-Files provides users with a metadata-driven system for organizing and managing documents and other information. This platform is a good fit for those invested in a Microsoft infrastructure. M-Files is also notable in that it allows users to edit objects in offline mode. Organizations can use M-Files’ platform on-prem, in the cloud, or in hybrid environments to improve productivity and quality, as well as comply with industry regulations and standards. Micro Focus’ platform is compatible with the heritage HPE ControlPoint data and content analytics product along with the HPE structured data management capability, SecureData Manager. Additionally, the provider is a good fit for large enterprises looking for content lifecycle management. Micro Focus also offers users automation, security, collaboration, data governance, and zero footprint capabilities. Microsoft is an industry powerhouse with its own content management solution, SharePoint. The solution integrates easily with Microsoft Office, Exchange, and Windows. SharePoint is also scalable and meets security and compliance requirements. If you already have an investment in Microsoft, SharePoint will likely be a good match for you. The platform is available on-prem and as a cloud offering that is typically bundled with Microsoft 365 subscriptions. Naviant’s enterprise content management solution aims to help clients gain control and visibility into the processes and paper that may be slowing them down. The provider offers real-time customer support while the solution increases efficiency and boosts productivity. Naviant’s platform includes paper and scanned documents, electronic forms, cases, emails, photos, video, audio, data streams and screenshots in order to best serve users. Based in New Delhi, Newgen Software’s ECM Suite, OmniDocs, allows knowledge workers in an organization to make contextual information available to the right people at the right time. The platform allows management of content from creation to archival and delivers contextual information to business leaders for improved collaboration and better decision making. Newgen’s platform is a good fit for small to midsize companies and those looking for traditional and transformative content services. Nuxeo offers a content management platform that allows organizations to manage content while putting it to work. The vendor’s platform is an open-source, subscription-based CSP available on the ground, in the cloud, or as a hybrid of both. It offers digital asset management and a comprehensive API. Nuxeo is ideal for organizations that want to develop custom content services and applications. This platform allows clients to tailor it to fit their specific needs and is easy to deploy. OpenText’s comprehensive ECM solution was designed to help organizations complete a digital transformation. The vendor aims to help clients gain the business critical insight needed to manage information on the ground or in the cloud. The provider also has an extensive partner network and its products are easy to integrate with other applications. The platform ensures information governance to address a complex and changing regulatory landscape and the rapid growth of business information. Oracle primarily specializes in developing and marketing database software and technology, cloud engineered systems, and enterprise software products. The vendor consolidates unstructured content across systems to be centrally managed. The provider’s offerings are a good fit for those who already have Oracle systems, namely its ERP tools. Additionally, users looking for the flexibility of hybrid on-premises and cloud-based content services deployments would be a good match for Oracle. Questys enables organizations to deliver relevant content to users as well as eliminate processes that can expose an organization to regulatory compliance risks and security issues. In addition to this, Questys offers cost-effective solutions while enabling productivity and compliance for organizations. The provider’s platform also offers data capture, automation of business processes, and the secure storage and retrieval of user documents. Systemware has more than 30 years of experience in content management. The provider also offers ECM solutions with scalability and the ability to integrate with any existing software applications. The platform offers flexible deployment, business intelligence, and security and compliance capabilities. In addition to providing a range of ECM software products, Systemware has a suite of applications intended to streamline the flow of documents and information through a variety of business processes. Xerox’s platform, DocuShare is known for its ease of use and flexibility, with a configurable user interface. Teams and individuals can add personalization, graphics, and branding, as well as customize their view of libraries. The platform was designed with usability, flexibility, and convenience in mind. It is recommended for mid-sized to large enterprises in search of a secure, user-friendly way to manage large data files across a variety of formats.